1/ To make the honey-rosemary simple syrup, add the boiling water, 5 sprigs of fresh rosemary, 1/2 cup sugar and honey to a medium sized bowl or pot. Let it infuse for at least 6 hours. Yep, 6 hours. I made the drink about an hour after it infused and the taste of the rosemary was basically nonexistent. It was perfect after 6 hours. So be sure to plan ahead if you are making this! Note that you can make this a day ahead. Let the syrup steep for 6 hours, remove the rosemary sprigs and store the syrup in the refrigerator. 2/ To make the cocktail, fill a shaker halfway up with ice. 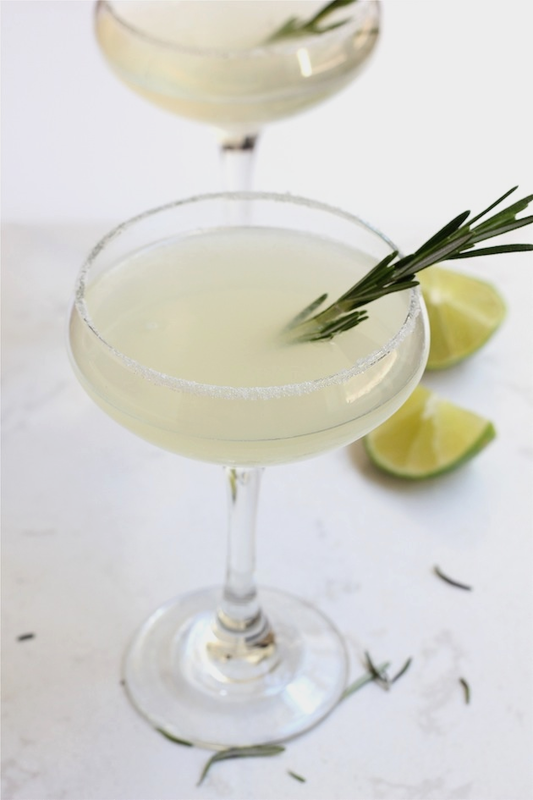 Add 2 oz of honey-simple syrup, 2 oz of gin, and 1.5 oz of fresh lime juice to the shaker and shake it up. 3/ Add 1 tablespoon of sugar to a plate. Run a slice of lime over the rim of your glass. Dip the rim of glass into the sugar. 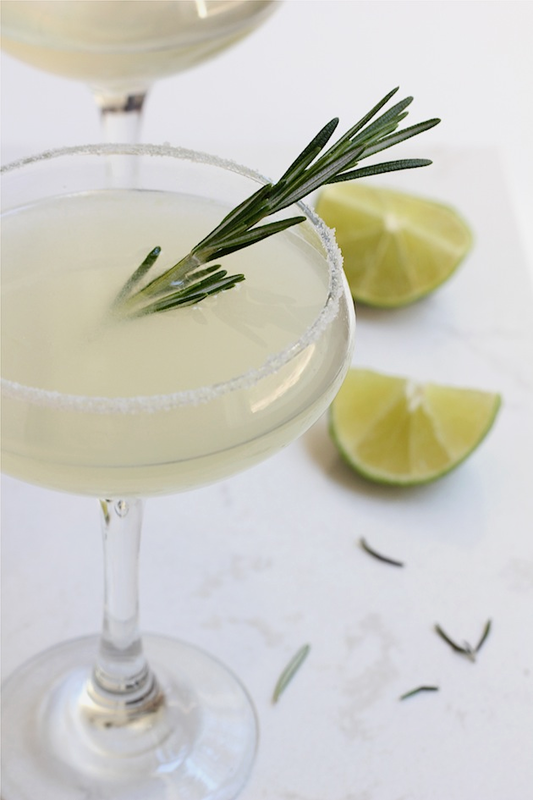 4/ Pour the drink into the glass and garnish with the remaining sprig of rosemary. Enjoy!! SATURDAY MORNING WITH "THE KINFOLK TABLE..."